Make lines outdoor where you don't need to clear them., Make lines outdoor where you don't need to clear them. 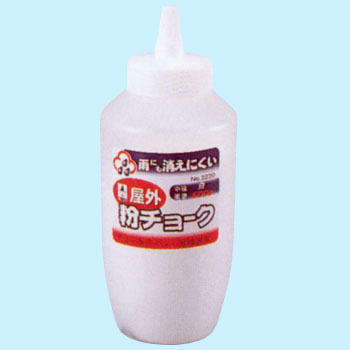 Do not use if you need to erase line completely., Do not use if you need to erase line completely. Because it contains titanium, it is almost the same thing as mega line ones. The price will be cheaper for Decaline's, but for those who do not use it in large quantities this would be enough. This review is about item#10245855. It is useful because it can be marked securely even outdoors. I am satisfied with using it all the time.